Today is the fifteen years since rapper Kanye West (41) released his debut album ‘The College Dropout’. 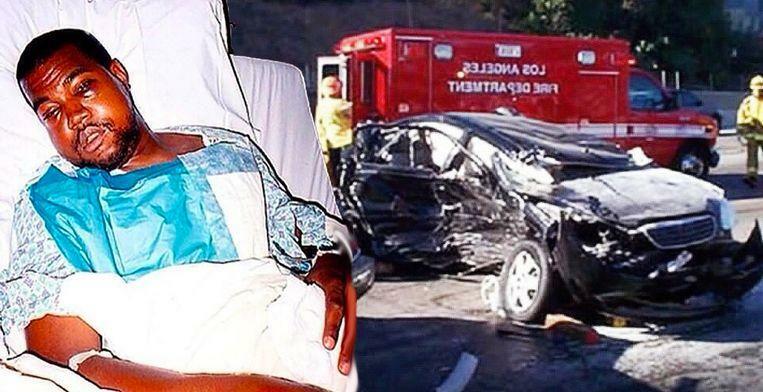 Two years before that album, Kanye West became involved in a car accident. In the years that followed, the rapper always referred to that night as the moment that changed his life. Apart from a few diehard fans, no one knew who Kanye West was in 2002. At that time, the American only worked as a hip-hop producer, such as the ‘Blueprint’ album by Jay-Z from 2001. However, as a rapper he was completely unknown. 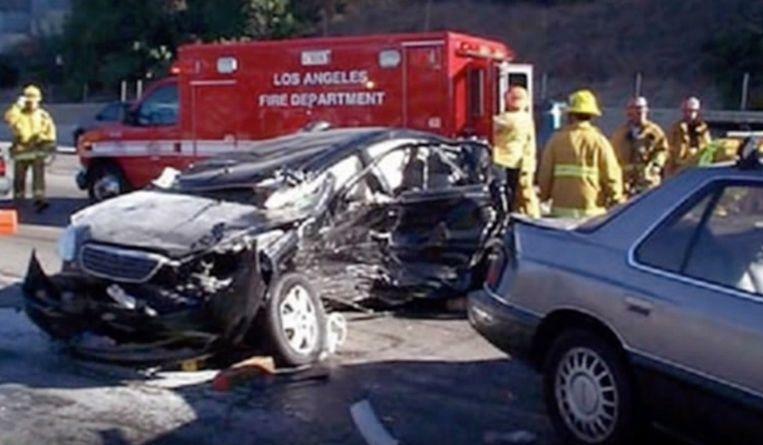 When Kanye West became involved in an almost fatal car accident in the night of 22 to 23 October, almost no one frowned. No one could have guessed that this crash would probably be the most important moment in his life. The accident formed the big inspiration for his song ‘Through The Wire’ with which he scored his first big hit. But what exactly happened that night? Kanye West left with his rented Lexus at 3 o’clock in the morning with a session in the studio with Beanie Sigel, The Black Eyed Peas and Peedi Crack. During the ride his car got off the road and ended up on the opposite track. He could just avoid an oncoming car head-on, but the same oncoming car hit him in the flank, just at the driver’s door. MTV There was not much left of the rented Lexus from Kanye West. ©MTV – There was not much left of the rented Lexus from Kanye West. The rapper was badly injured and had to undergo various plastic operations in his face. 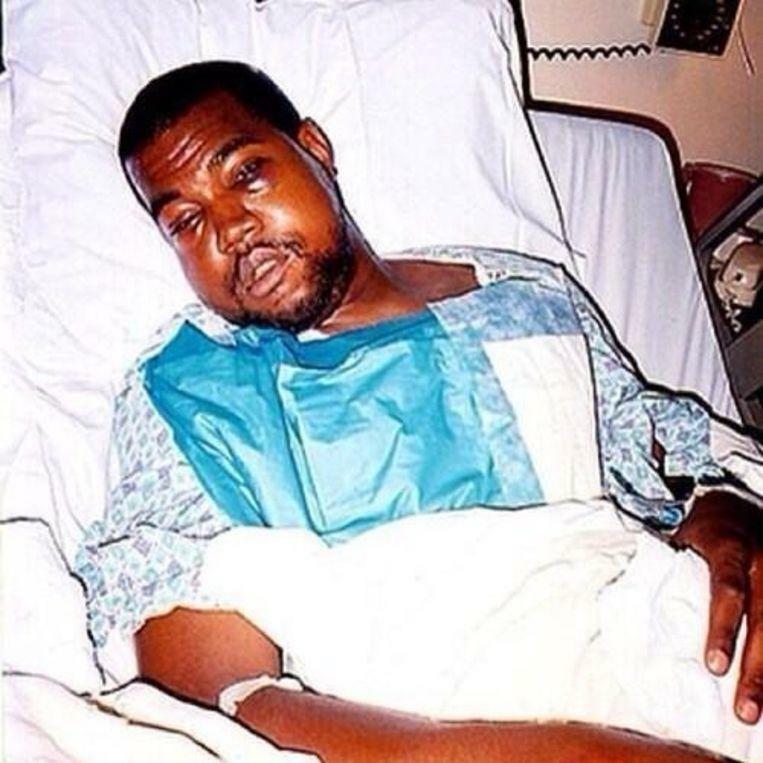 He lay in the hospital for several weeks and to make matters worse, Kanye West had no health insurance so he had to pay all hospital costs out of his own pocket. “The music I made for the accident, including The Black Eyed Peas, was far from my best work,” Rapper Kanye West said later that evening in the studio. “If I had died that night, it would have been my legacy. Pretty sad. When I walk into a studio now, I realize every time it could be my last session,” West said with some sense of exaggeration after the accident. Kanye West had to undergo various plastic operations. Kanye then left the studio session white with anger. A few weeks after the accident, West returned to the studio and recorded ‘Trough The Wire’. That number – freely translated ‘By the thread’ – he called it because his face was full of stitches and he entered his lyrics with a broken jaw. The song was the very first with which West reached an audience as a rapper. He earned an estimated $30,000 with it, for him as unseen in that period. And so, he recorded his first video. The images show how the rapper is taken care of by the plastic surgeons. He raps among other things that he can no longer eat solid food, that his fate hung on a thread and that he was operated in the same hospital as Notorious BIG. Of course, he also put his modest hit on his first album ‘The College Dropout’, which made his debut on the radar of the music press. They applauded his album – New York Times proclaimed it the album of the year – and ‘Jesus Walks’ became his first worldwide hit.